The benefits of glucosamine now appear to extend far beyond joint health: latest results from a large cohort study show that glucosamine users had 18 percent less risk of death from all causes, including 13 percent less risk of cancer death and a stunning 41 percent less risk of death from respiratory diseases, compared to non-users during the follow-up period of the study. The VITAL (VITamins And Lifestyle) cohort is the first ever prospective study done on glucosamine and chondroitin for health effects other than arthritis. Carried out in Washington State (USA), it tracked over 77,500 participants aged 50-76 years old. The participants were enrolled between 2000-2002 and then followed up for mortality through 2008. A questionnaire at the beginning of the study assessed the use of glucosamine for the 10 previous years. During the follow-up period of the study (up to end of 2008), current users of glucosamine (with or without chondroitin) were 18 percent less likely to die from any cause compared to non-users. Interestingly, detailed analysis showed statistically significant differences between the sexes: male users saw 10 percent less mortality risk while female users saw 25 percent less mortality risk compared to non-users. This divergence is partly explained from the differing protection offered from heart disease: men saw no protection at all, while women were 29 percent less likely to die from causes related to heart disease. No other gender-based differences in protection from any cause of death were detected. All glucosamine users experienced a general 26 percent reduction in the risk of death from all causes outside of heart disease and cancer. This was partly due to a remarkable 41 percent reduction in respiratory disease mortality. While glucosamine was seen to significantly reduce the risk of cancer-related death by 13 percent, it was difficult to reach statistical significance for individual cancers simply due to the smaller numbers involved. There was a non-significant reduction in risk of death due to lung cancer (nine percent) and hematopoietic cancers (19 percent: leukemia/lymphoma), but no protection seen for the other most common cancers such as colorectal, prostate or breast cancers. However, for all other cancers combined there was a reduced mortality risk of 33 percent. Unfortunately, in this study no information was collected on the glucosamine dosages consumed by participants, since advertised versus actual dosages are often quite different. However 42 percent of users had taken glucosamine for at least three years prior to the study, and 97 percent took it at least 4 days per week. 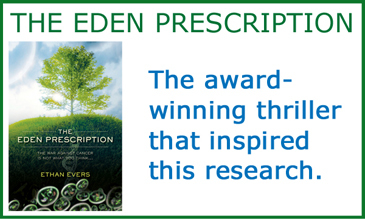 Note also that chondroitin alone showed similar overall effects as glucosamine, but never offered as high a level of protection, in particular from cancer. The health benefits of glucosamine are assumed to stem in part from its role as a potent anti-inflammatory. Lab studies show it inhibits transcription factor NFkB signaling, which is required for numerous inflammatory pathways important to several diseases and inflammation-related cancers. And more recently, a study on humans showed that glucosamine reduced levels of c-reactive protein (interestingly more so in women than in men). 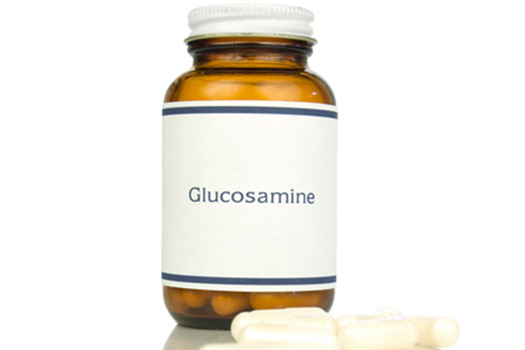 A recent survey showed that 7.4 percent of Americans between the ages of 57 and 85 take glucosamine. In light of these new findings, there may be good reason for adults of all ages to consider glucosamine as part of their daily supplementation routine to support better health and longer life.